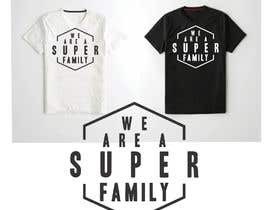 I want to have a t-shirt design with 300+mgp to be print in one color. 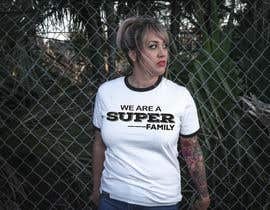 This is for my church, the design needs to say WE ARE A SUPER FAMILY. Something cool and don't have to have any religious symbol. It has to be in photoshop so I can make any modification if I have to.